Have you noticed changes in your aging dog's zest for life? Has she stopped greeting you at the door? Has he forgotten once familiar old tricks or stopped responding to even basic commands? Many dog owners attribute changes like this to normal aging, but personality changes and forgetful behavior is not a normal part of dogs growing old. Dogs are living longer than they did in the past, due to better nutrition, advancements in preventative health care, and access to medical procedures that were once available only to humans. Loving, responsible pet owners help too. Dogs are increasingly cared for like family and many people are willing to spend whatever it takes to keep their pets alive and healthy as long as possible. Living longer means age-related health problems are now more common. Older dogs are susceptible to many of the same diseases that affect older people... arthritis, heart disease, cancer, diabetes, and a canine version of Alzheimer's disease. A medical condition known as canine Cognitive Dysfunction Syndrome (CDS) causes disorientation, confusion, memory loss and personality changes that are very similar to Alzheimer's disease in humans. Canine Cognitive Dysfunction is sometimes referred to as "old dog syndrome", "brain aging", "doggie dementia" or "senility". Like Alzheimer's disease, the cause of Canine Cognitive Dysfunction is unknown, but physical evidence, found only in autopsies, reveals the same sort of degenerative brain lesions. With age, dogs, like humans, naturally accumulate deposits of beta amyloid, a nerve-damaging protein, in the brain. This starch-like protein builds up, becomes waxy, and forms plaque. As plaque builds up, it clogs the brain and inhibits the transmission of signals from the brain. In both Alzheimer's and Canine Cognitive Dysfunction, excessive senile plaque leads to more severe cognitive impairment. Some age-related changes, like a graying muzzle, are inevitable. Older dogs are more sensitive to temperature extremes and they move a bit slower. Dogs with Canine Cognitive Dysfunction Syndrome, however, experience changes in behavior which, like Alzheimer's, are not a normal part of aging. The main symptoms of CDS are summarized by the acronym DISH... Disorientation - Interaction changes - Sleep changes - and House soiling. Stops responding to his name. Dogs who knew exactly where their yard ended and never crossed the line, wander past the normal boundaries, becoming lost and confused. Easily agitated and/or barks for no reason. For about the last two years of her life, Gretchen, who passed away 5 years ago, walked round and round the dining room table - carrying her "baby" in her mouth. She did this at least 2 or 3 times a day - doing 100 or more laps each time. Gretchen forgot how to do all the wonderful tricks she once loved to perform. They walk away even when being petted and receiving affection. Large breeds show signs of aging earlier than small dogs. Some giant breeds are actually senior citizens as early as age 5 or 6, while some of the smaller breeds show few signs of aging before age 10. At 7 years of age, about one in five dogs show some signs of Canine Cognitive Dysfunction. By age 11, about one in three dogs are affected. Almost two-thirds of dogs age 11 to 16 have CDS symptoms. Watching a dog you love become forgetful and confused can be heartbreaking. If your senior dog shows any unusual changes in behavior, tell your veterinarian so a proper assessment can be done. Symptoms of CDS will not show up during a routine physical exam. Many people put up with a variety of senile changes and wait until bladder or bowel control is lost before trying to find out if something can be done. There is no cure for CDS, but drug treatment can provide a better quality of life and slow the progression of symptoms. Canine cognitive dysfunction is defined as the occurrence of one or more geriatric onset behavior problems, which are not sufficiently accounted for by medical conditions. A diagnosis of CDS can only be made after any physical reason for such changes have been ruled out. There is no blood test or scan to diagnose canine cognitive dysfunction. Your veterinarian will probably want to perform a thorough physical exam with blood tests and a urinalysis. Other diagnostic tests might be ordered, and depending on the symptoms.... a neurological exam, cerebrospinal fluid analysis, or possibly a CAT scan. Dementia and incontinence can be caused by other health problems, from treatable conditions like urinary infections and thyroid disorders, to heart failure, kidney failure, brain tumors and other life-threatening illness. A dog with painful arthritis will no longer be able to run down the stairs to greet you at the door or jump up on your bed at night. An elderly dog who's lost his hearing may not hear you call his name or know when someone's at the door. Your aging dog might seem disoriented due to loss of vision. Selegiline hydrochloride (L-deprenyl), a drug that's sometimes used to treat Alzheimer’s and Parkinson's Disease in humans, is marketed for dogs as "Anipryl®". Anipryl® works by increasing the level of dopamine, an essential neurotransmitter. It has been shown to temporarily reverse some of the changes of CDS and improve behavior in about 75% of affected dogs in one month, although it can sometimes take up to sixty days to see improvement. Studies suggest that antioxidant treatment can also result in significant improvement. 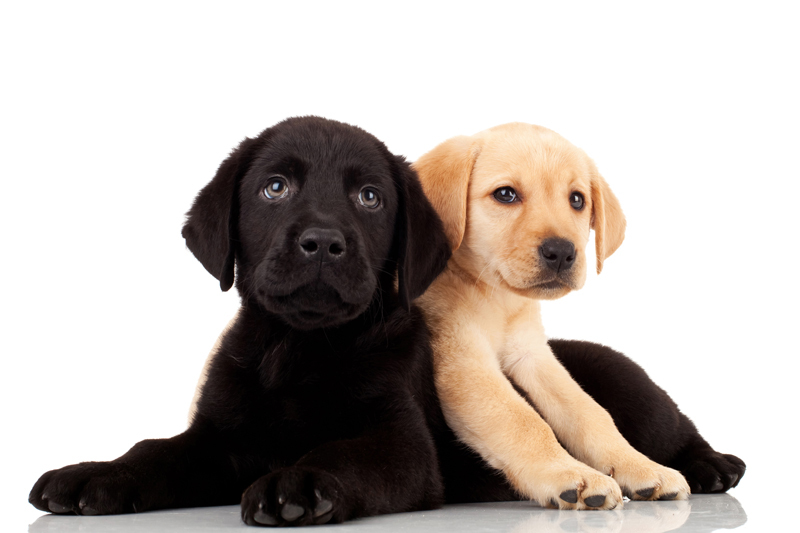 Some veterinarians treat affected dogs with a supplement of omega-3 fatty acids. Foods fortified with complex mixtures of antioxidants can effectively counteract the effects of brain aging. New pet foods are being formulated for dogs with Canine Cognitive Dysfunction. Pet owners who participated in a study using a prescription diet reported that 74% of older dogs with a history of house soiling accidents experienced a reduction in accidents after 30 days. Enthusiasm in greeting family members increased by 61%. For pet owners who seek a more natural therapy, studies have shown that supplementation with the B vitamin choline supplement, CholodinR, is a safe and effective method of for reversing signs of cognitive dysfunction in dogs. The following solutions can help senior dogs feel better and enjoy a better quality of life whether they are suffering from canine Cognitive Dysfunction Syndrome or not. Play with your dogs - Go for short walks - Talk to them - Pet them - hug them! Prevent wandering away by keeping the dog on a leash or in a fenced area when outdoors. Attach a bell to the dog's collar to help keep track of him indoors. Don't rearrange furniture or change familiar surroundings. Stick with a daily routine. Take more frequent potty breaks. Watch your dog. Remind her why she's outside and tell her what she must do. Praise good behavior. Feed a senior formula pet food that's designed to combat signs of aging. Provide raised food and water bowls so large dogs won't have to reach down uncomfortably to eat and drink. Provide a soft, comfortable bed, away from drafts and at a height your dog can easily get in and out of. You might want to place doggy beds or cushions in several rooms of the house to provide comfortable, convenient places to sleep and relax - always near you. For a dog who has always been allowed on furniture but can no longer jump up, place a ramp or a small set of steps near the bed, sofa, or chair your senior dog is unable to reach. Some old dogs, like some old people, age successfully and continue to function well. They remain bright and mentally alert throughout their natural life span, while there is an accelerated form of dementia in others. This devastating, progressive disease causes behavioral changes that disrupt the lives of dogs and of the people who love them and yearn for their companionship. Timely veterinary treatment plus love and patience, can give an aging dog extra quality time and a fuller, happier life. CDS in Dogs.com - Offering real hope for dogs with Cognitive Dyfunction Syndrome - from Pfizer Animal Health. Does your dog show signs of CDS? See Pfizer Animal Health's Senior Dog CDS Checklist. Check all the descriptions that apply to your dog, click on “Complete form”, then print the list and to take it to your Veterinarian. Get a free, 30-day-trial coupon for Anipryl®. (available by prescription only). Print the senior dog behavior history form, with the coupon, and take it to your veterinarian for diagnosis. Anipryl® and Canine Cognitive Dysfunction Syndrome - Anipryl®, in combination with a little extra care and attention, might just help your dog live a fuller, happier life. Bring food & water up to your dog's natural eating height. Raised dishes like this are recommended by vets to enhance a dog's health & comfort and reduce stress on neck and back muscles. This portable, compact pet ramp is ideal for both small and large dogs that have difficulty getting in and out of minivans and SUVs, climbing stairs, reaching beds, or exam tables. It folds quickly and easily and carries like a briefcase. A textured surface provides traction and sure footing for animals up to 200 lbs.